Precision medicine in cancer – where treatment is tailored to a specific patient – has been improved by the ability to determine the genetic variation of a patient’s tumor. Advances in DNA sequencing technology mean detecting which genetic mutations are present in a cancer is possible. For this information to be useful, more data is needed on how mutations affect gene function, tumorigenesis and drug response. When this information is missing, patients cannot benefit from precision medicine. A team at the Broad Institute and Dana-Farber Cancer Institute headed by Dr William Hahn aims to solve this problem by leveraging newly developed technologies to enable variant characterization efforts at scale. Mutant libraries are being generated across three classes of genes known to cause cancer, and then by using high-throughput phenotypic assays the team is screening the mutant libraries of each gene to understand how they function and respond to therapies. The team aims to pilot novel methods of variant annotation towards the ultimate goal of making precision medicine a reality for all cancer patients. 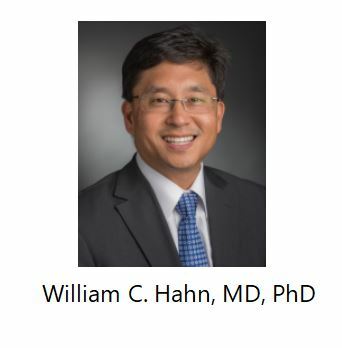 This project represents a proof-of-application as an early step towards a comprehensive Cancer Variant Atlas, in which all cancer variants have been characterized, their impact on tumorigenesis and therapeutic response determined, and this information made immediately available to the clinical and scientific community.